Elizabeth Warren Suggest Trump’s Going to Prison: By 2020 | The Fringe | Conspiracy, News, Politics, and Fun Forum! Elizabeth Warren Suggest Trump’s Going to Prison: By 2020 | The Fringe | Conspiracy, News, Politics, and Fun Forum! Elizabeth Warren Suggest Trump’s Going to Prison: By 2020 The-Fringe | Your #1 Source For Conspiracy, News, Politics, and Fun! (02-10-2019, 10:02 PM)The Order of Chaos Wrote: A Warren-Octo cage fight! I bet on the dumb one! The dumb one? There's a difference? Octo is a blithering idiot. Warren has a law degree and passed the Texas Bar..but, all that now comes into question with her Affirmative Action Policy cheating. And now, she emulating Octo-Idiot because she has 1M+ twitter followers. It's a tough call without them both being given IQ tests. I think we should demand that it be done. And, don't forget the Lizzy copy cat of Octo in her kitchen.. I'm Gonna Get Me A Beer .. Not to be confused with John Kerry's ..Can I get a me a huntin license here?" . 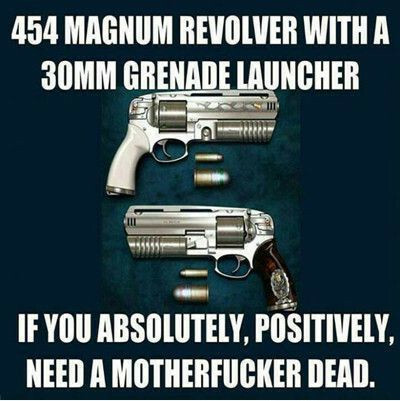 Citizen37082, Frigg, TheOrderOfChaos likes this! In the criminals way of thinking it's not ok for them to go to prison, but (although it is mutually exclusive), law abiding citizens can go there instead. Strangely, our government thinks the same thing. Any criminal off the street can get on the ballot, and when they win the election (somehow), they still operate like the criminal on the street, and start writing laws like a criminal. Warren is putting Trump in prison not for an actual crime being committed, but a political adversary that they think they have the power to put their opponents away in another run down government institution. Institutionalize first, because still nothing gets done. But they won't prosecute the Clintons, because then they'd have to put all the criminal CONgressman in one of their run down dumps of an institution and rub shoulders with the criminals of the world. I just hate it when the representatives send me a post card in the mail with all their family on it. Life is great screwing the taxpayer, not having to work like the rest of us. Wish you were here! She tells her husband how much she loves him, but screw the constituents. I wonder how many documents she filed that had her little scam of being 'native american' on it? Citizen37082, Frigg, TheOrderOfChaos, WNC likes this! Funny, she quickly forces a change in topic when asked that question. Angry Red Man, Citizen37082, Frigg, TheOrderOfChaos, WNC likes this! Pocahontas will be lucky if she is not prosecuted for lying on her bar exam. What a moron!! Angry Red Man, Citizen37082, Frigg, MaximalGravity, TheOrderOfChaos, WNC likes this! (02-10-2019, 11:20 PM)phxsparks Wrote: Pocahontas will be lucky if she is not prosecuted for lying on her bar exam. What a moron!! Lock her up, in a Texas jail. Catch, Citizen37082, Frigg, MaximalGravity, WNC likes this! They Would Start a CIVIL War if they COULD!